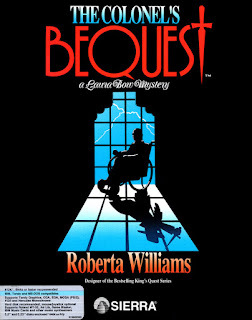 I don't know if Colonel's Bequest is a direct remake of the first game, Mystery House, Roberta Williams created, but it does share similarities with it. Both games are murder mysteries set in a mansion filled with people. The big difference being, that Colone's Bequest is graphically more impressive, has sound and music and grander story whereas Mystery House if soundless, almost plotless treasure hunt, where people pop up dead. In the roaring 1920s, at the University of Tulane, a young student Laura Bow meets her friend Lilian, who asks her to tackle along at a family get together at the old, now a tad deteriorated, plantation mansion of her grandfather Colonel Henri Dion. At this gathering, as Laura soon finds out, the Colonel is intending to make a great decision about how his possessions are to be divided after his death. The weekend is going to turn into anything but a pleasant getaway Laura had in mind when she notices the tension in the air between the members of the family and staff alike. Cousins, siblings and golddiggers have all gathered together, secretly hating each other for the possible portion of the inheritance going their way. As Laura begins to wander around the old mansion, she soon finds out the secrets hidden within the walls: secret passages allowing anyone aware of them to spy people in the various rooms of the house. 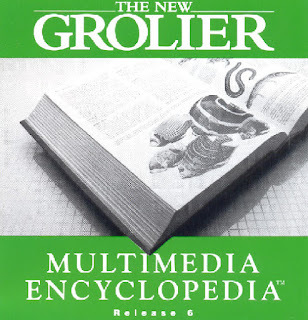 After the first murder takes place, she finds these passages to be very helpful in helping her understand what is really going on and drives the people she is stuck for the weekend. Like a forgotten Agatha Christie novel, The Colone's Bequest opens up act by act. In the end, Laura Bow is unable to prevent the people from getting killed, but she can at least, like a good snoop, get some clarity on who in the end has killed whom. She even might get some clarity to why people end up dead, albeit there is no query about it at the end of the game. The premises of the game is simple enough: to explore, solve puzzles and find dead bodies. But the actual major puzzles of the game is really the one you don't solve in the game itself, the mystery of who, or whom are behind the killings. During the game, you can gather up quite a bit of evidence of the identity of the killer as well as many clues on what the motives could be. But as there is no actual method to tie these things together in the game itself like there is on modern detective games like the Sherlock Holmes-series by Frogwares, it might be a tad hard to do so after you've spent some time playing the game, probably forgetting some of the facts and clues you encountered. 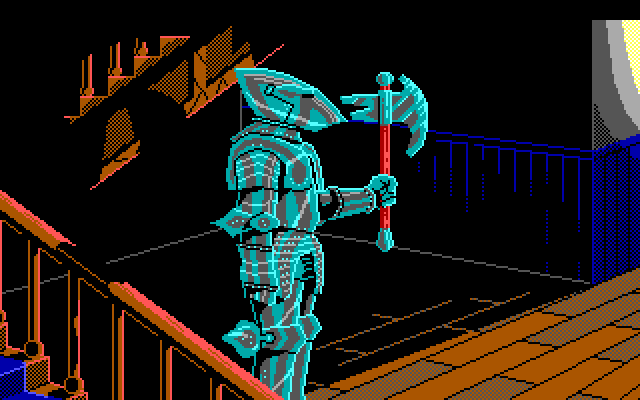 Unlike many other Sierra games of the era, The Colone's Bequest is very heavily story driven game. 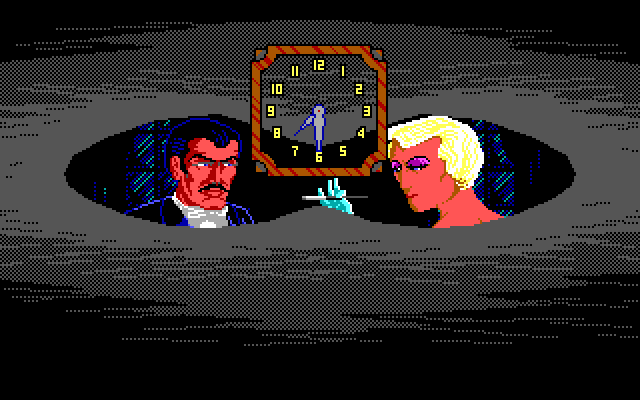 this is even further driven by the Act system, where new developments you encounter make the time forward another 15-minutes, which can also cause you to miss some interesting development of events somewhere else in the mansion. 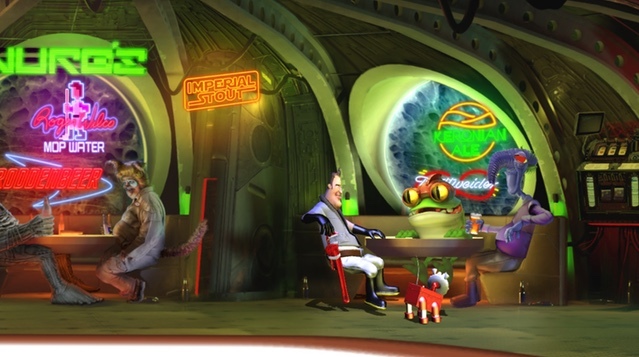 This system by itself makes for some re-playability, as it is almost impossible to witness everything in one playthrough, which can in its own right make some things seem rather unclear. It is, for an example, entirely possible to not find out the actual motivation of the killer at large. The story is well written and detailed, offering a lot of twists, turns and red herrings to shiv through. In the end, despite there is no system in the game to check the authenticity of the facts you gather, it is enjoyable in its own right to come to some conclusion on why the weekend turned out so wrong. 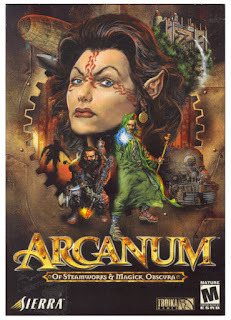 As a whole, this is one of the best games Roberta Williams has written. Spying at Rudy and Gloria. Graphically, The Colone's Bequest is one of the best looking, if not the best looking 16-colour SCI engine games Sierra developed. 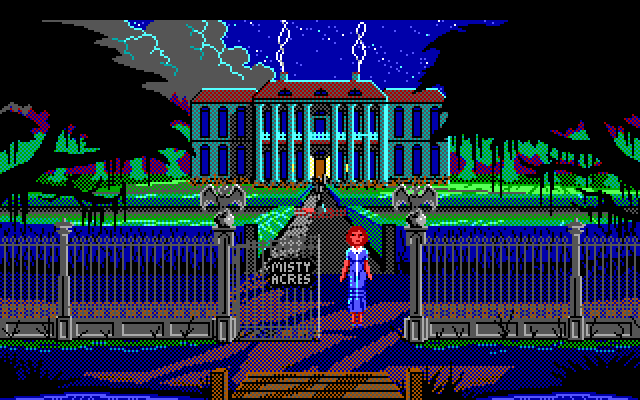 The swampy locations around the mansion and the mansion itself are finely crafted and detailed, giving the game atmosphere not that many games with this kind of limited technology were able. 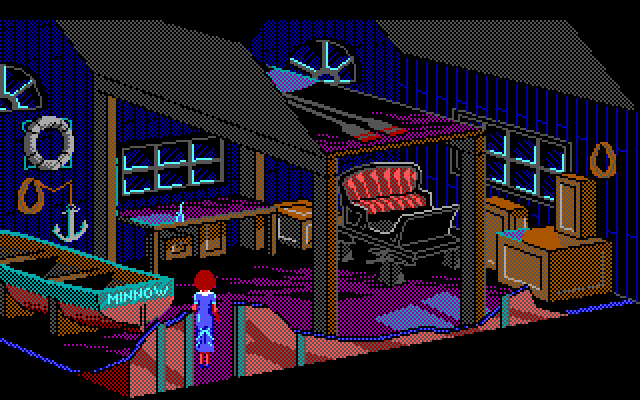 And if you don't like the dithered colour palette the game uses, you can play the game in Scumm-VM, which has a mode that removes the dithering, replacing it with a smoother, richer colour palette. The sound effects and the music are also very nice, especially if you play the game using either a genuine MT-32 or a proper emulation of one. The soundscape of the game is especially propped up greatly by MT-32, so if you want the full impact of the game, you should really at least use emulation for an MT-32. 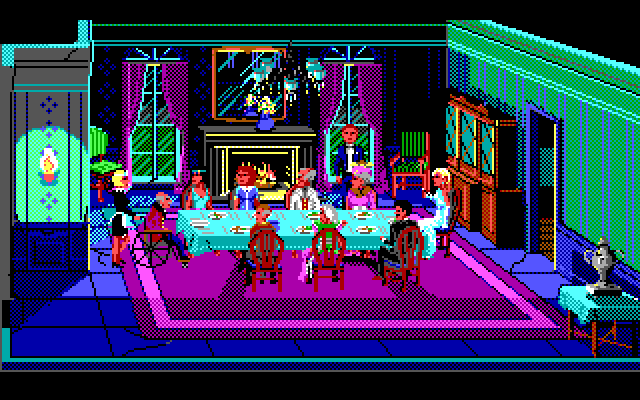 Other than that, technically speaking, The Colonel's Bequest plays out like any other 1980's Sierra adventure. You navigate the world by using your keyboard cursors and give commands by typing them on a text prompt. Depending on if you make sense to the interpreter, the game does what you ask it to do, otherwise, it'll tell that it can't understand you. Luckily enough, The Colonel's Bequest understands quite a bit, so it isn't as terrible hairpulling experience as some of the games of its ilk are. The old storehouse of the mansion. 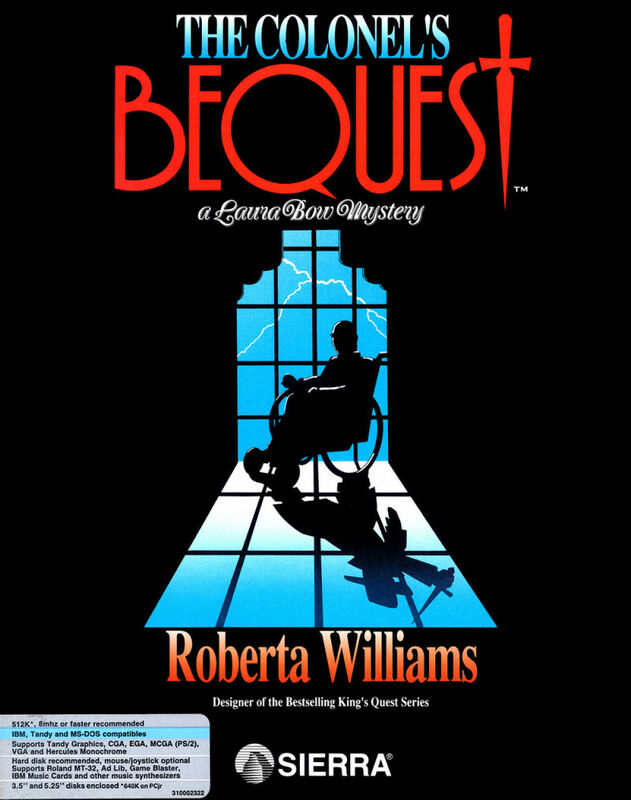 if you like murder mysteries, the Colonel's Bequest isn't a bad game to give a spin. If you can get past the typing interface, it does provide an entertaining mystery, where people pop up dead when you least expect it. The sequel game, The Dagger of Amon Ra, sifted to fully mouse-driven point'n'click interface. Terrible voice acting aside, that is also a solid murder mystery where you even have to get your investigation to completion by connecting the dots at the end. Like many other Sierra titles, the Colonel's Bequest can be bought digitally from GOG.